Contributor Tim Weed’s story “The Money Pill” is set in Cuba. 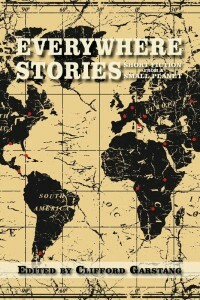 It is one of 20 stories in Volume I of Everywhere Stories: Short Fiction from a Small Planet. Published in 2014, the book is available from Press 53, Amazon.com, and Barnes & Noble. Tim Weed’s fiction has appeared in Colorado Review, Gulf Coast, Sixfold, and many other journals and anthologies. He is the winner of a Writer’s Digest Popular Fiction Award and a Best Travel Writing Solas Award, and his collected stories have been shortlisted for the New Rivers Press Many Voices Project, the Autumn House Fiction Prize, and the Lewis-Clark Press Discovery Award. 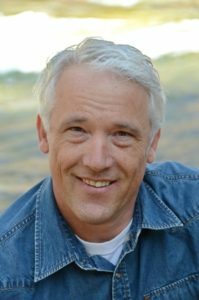 Based in Vermont, Tim is a lecturer in the MFA Writing program at Western Connecticut State University and a featured expert for National Geographic Expeditions in Cuba, Spain, and Patagonia. Will Poole’s Island, Tim’s first novel, was published in 2014. Tim Weed’s comment on “The Money Pill”—One of the somber joys of being a fiction writer is that you can insert your characters into difficult and/or morally dubious situations without having to suffer or inflict the real-world consequences of their actions. “The Money Pill” grew out of a series of trips I made to the eastern part of Cuba in the earliest years of the 21st century. Writing it was, in part, a process of taking several jotted-down interactions and playing them out to their logical conclusions. On a deeper level—over the many drafts it took to get the story into an intelligible form—certain themes began to emerge that captured something essential, for me at least, about Cuba and the wealthy superpower that is its close and yet utterly estranged neighbor.